Most people have grossly inaccurate views of the world we live in. When we’re asked simple questions about global trends, we systematically get the answers wrong and see the world to be much worse than it really is. 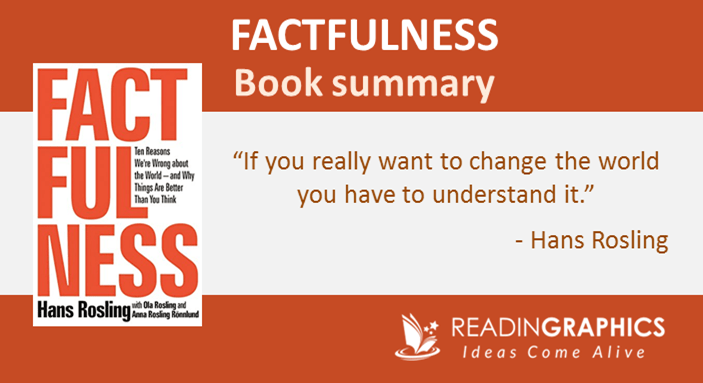 In Factfulness, Hans Rosling presents 10 dramatic instincts that distort our perceptions, as well as detailed facts and statistics about the real state of our world today. In our Factfulness summary, we’ll explain the 10 key mental filters and how to recognize/manage them to develop a fact-based worldview, to avoid unnecessary stress and improve our ability to make sound decisions. Over the years, Rosling has been presenting questions about global trends (e.g. poverty, health, environment) to thousands of people worldwide. He discovered that people generally believe that the world is getting worse, when facts and data show that the world is getting better. For example, in the last 20 years, the proportion of the world population living in extreme poverty has almost halved. Yet, only 7% of the people surveyed got that right; the majority believed that the proportion of people living in extreme poverty has remained the same, or has almost doubled. Most of us don’t see the world as it is, because we sift the inputs through a mental filter that favors dramatic information. Thus, we tend to have an exaggerated and overly-negative view of the world, which creates unnecessary fear and stress. When we’re operating on the wrong facts, we can’t develop sound solutions or make good decisions. We’ll now give a synopsis of the 10 dramatic instincts and zoom in on the first instinct in more detail. 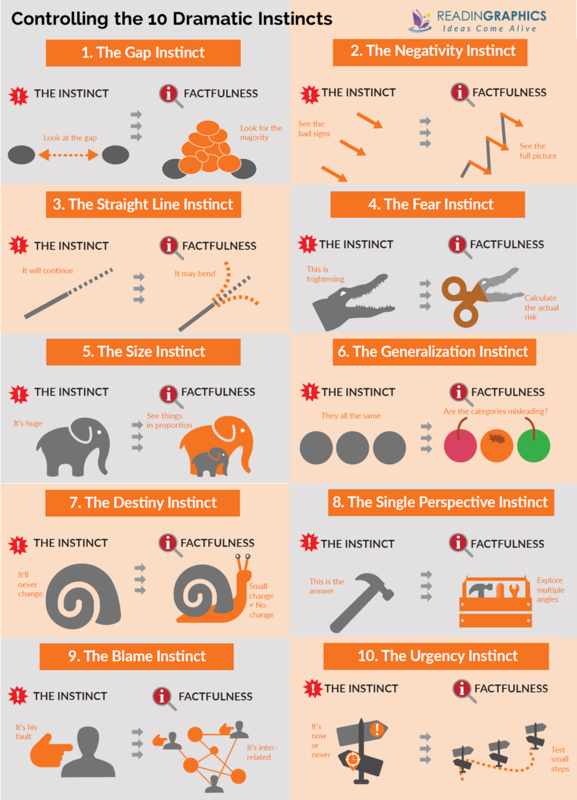 Do get a copy of our full 15-page summary for a detailed overview of all 10 instincts, or get the full mojo (complete with statistics, charts and examples) from the Factfulness book. We tend to divide things into 2 distinct groups and imagine a gap between them, e.g. good vs bad, rich vs poor. This is one of most damaging instincts as it creates an imagined chasm that leads to all sorts of mis-perceptions. In a nutshell, the majority of people today (5 out of 7 billion) live on Levels 2-3 and have some degree of choice and buying power. While people living in extreme poverty (Level 1) still suffer from high child mortality rates, malnutrition and terrible living conditions, they are now the minority, not majority of the world population. In our complete Factfulness summary we elaborate more on each of the 4 levels and how countries move up the levels over generations. Averages help to simplify information, but draw our attention to the gap between 2 sets of numbers. For example, when you compare the average incomes between 2 groups (see the left diagram below), it creates the perception that there’s a clear separation between the groups, when in reality the areas of overlap may be greater than the differences (see the right diagram below). We tend to remember extreme examples (e.g. the richest vs poorest people) as these are more dramatic. However, such extremes are usually the minority and do not reflect the majority which are in the middle. When you’re living on Level 4, your perceptions of the other levels are filtered through the mass media (which tends to focus on the extreme and the dramatic). From the top of a tall building, the objects on the ground level look deceptively small. Likewise, our Level 4 perception of lives on Levels 1-3 are usually distorted. To control your Gap Instinct, realize that that in reality, there’s usually no gap, extremes are the minority, and the majority are in the middle were the gap is supposed to be. 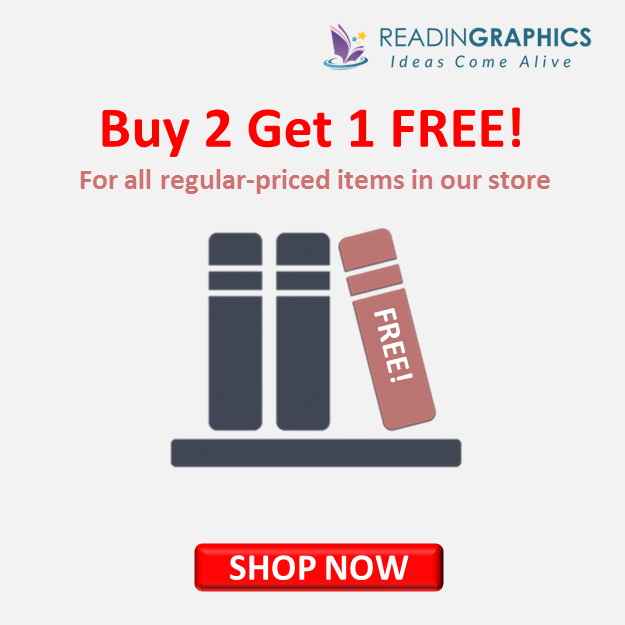 • Be mindful of the 3 types of gap stories which you may hear or tell yourself. 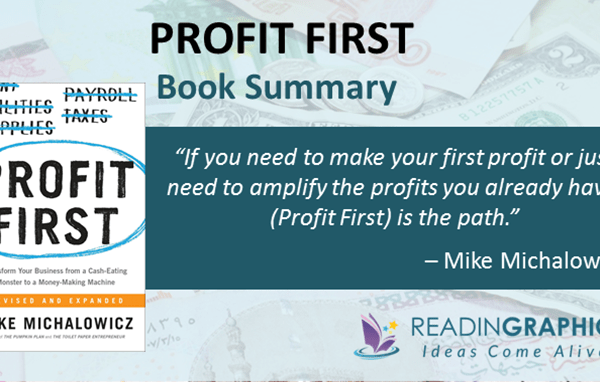 • When you hear a story of 2 distinct groups with a gap between then, examine the spread of data and you’re likely to find 2 overlapping groups with no real gap. Our dramatic instincts exist for a reason and everyone has them. The key is to manage these instincts, so we can think factfully and find better solutions based on a real understanding of the world. 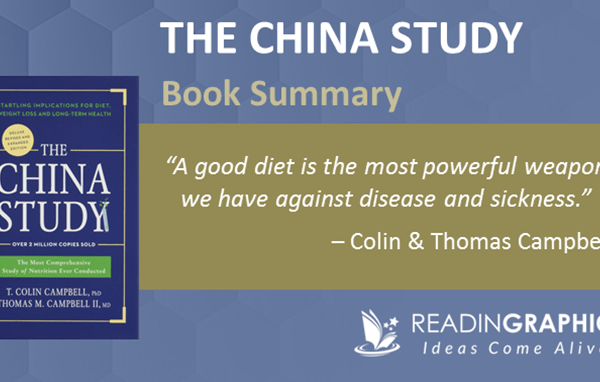 In the book / complete summary we look at how factfulness can be applied to our daily lives, including education and business. 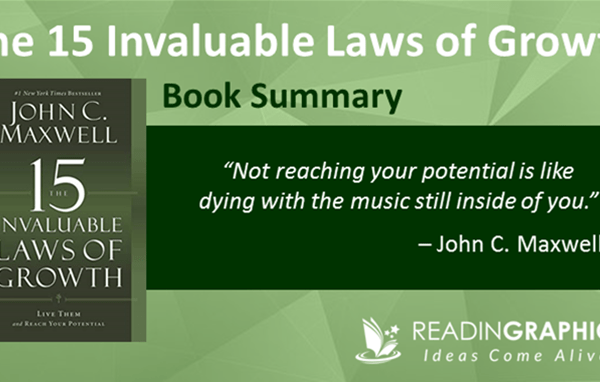 The book is packed with data and charts about the state of the world and our 10 dramatic instincts. Rosling also shared many of his personal experiences, as well as specific data about 5 global risks which he personally believes are worthy of concern: Global pandemic, global financial collapse, World War III; climate change, and extreme poverty (which still affects 800mil people today). For more details and resources, please visit www.gapminder.org. 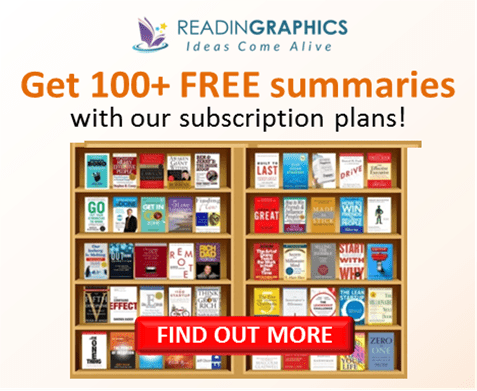 Learn how to manage your mental filters, develop a fact-based worldview and make better decisions! 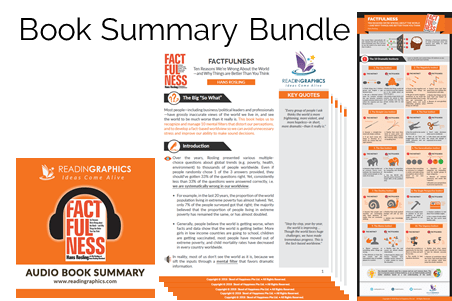 Click here to download the Factfulness summary & infographic Click here to order the book online Click here for more resources and free tips!